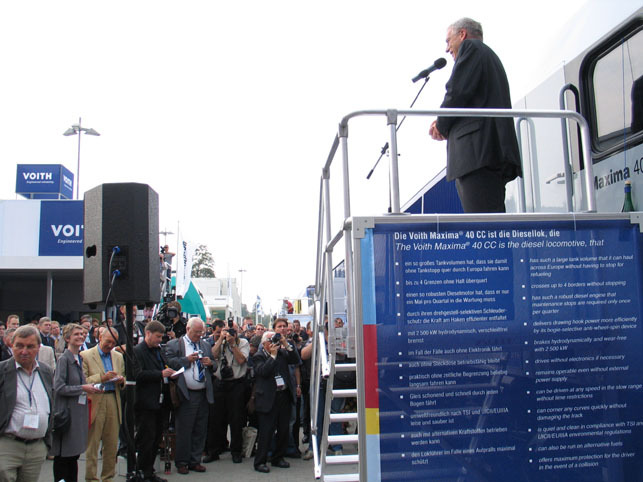 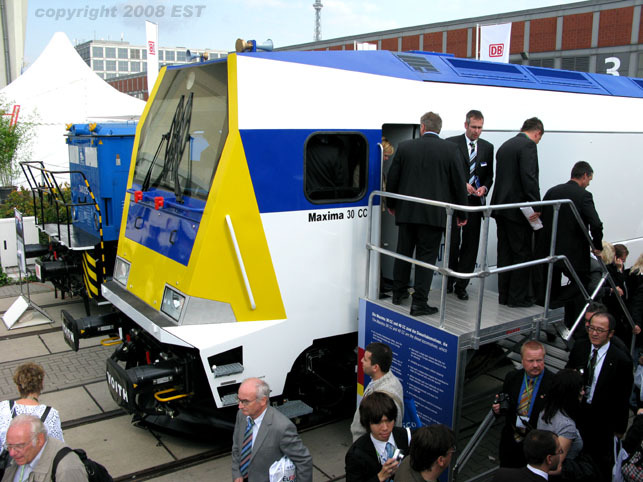 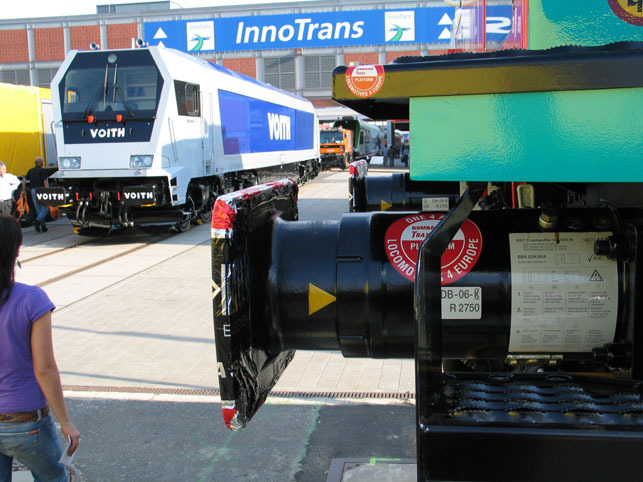 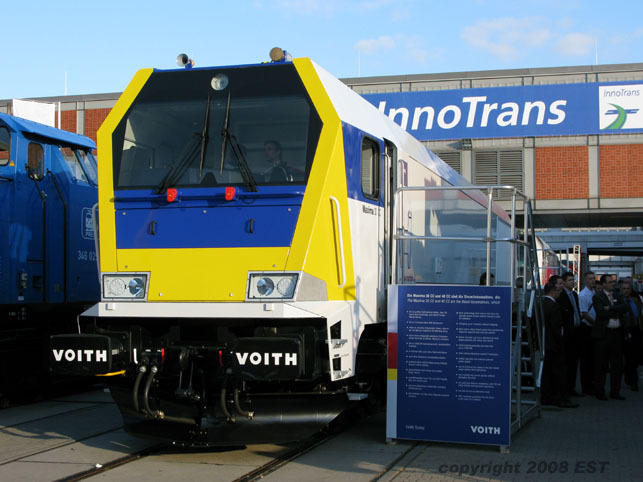 Presentation of the Voith Class Maxima 40CC locomotive at the InnoTrans 2006 fair in Berlin. 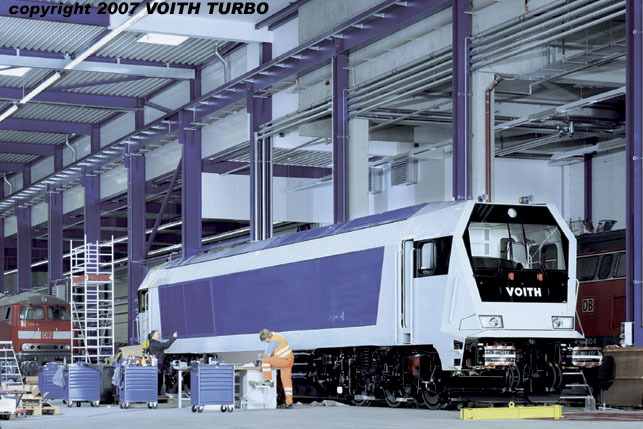 During the development of the locomotive, EST was a consultant for Voith Turbo Lokomotivtechnik. 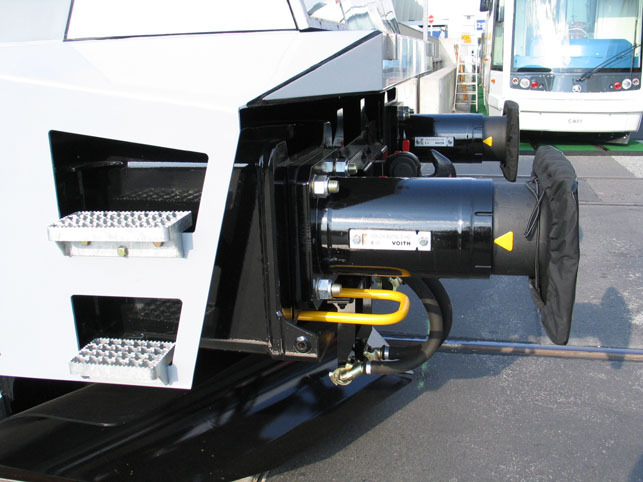 For the manufacture of the Maxima, EST supplies innovative safety components. 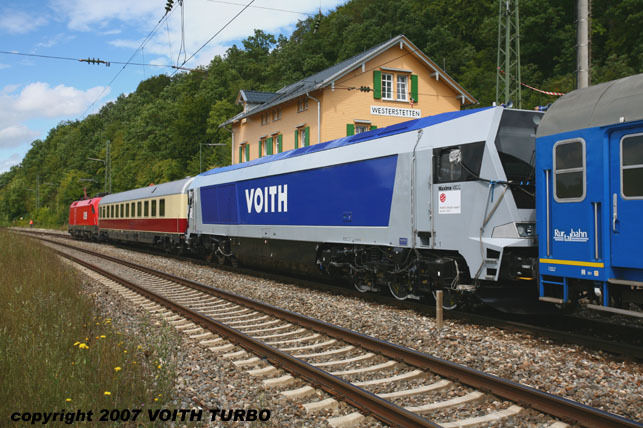 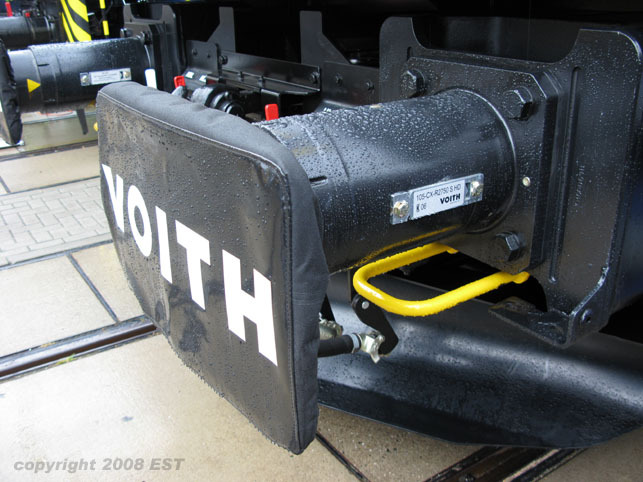 (Photo: Voith Turbo, added 18.01.2008).